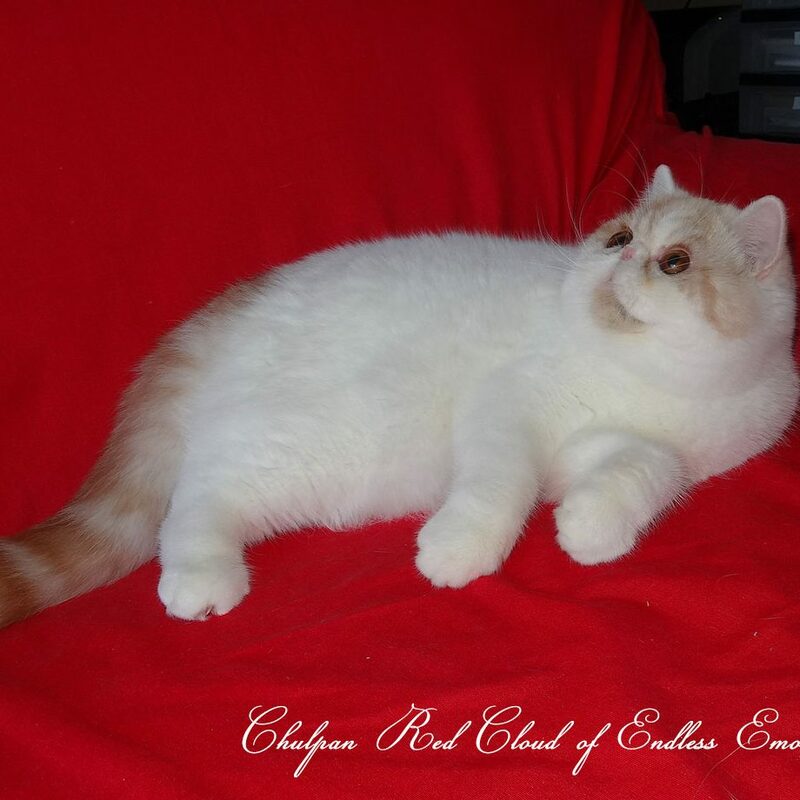 Endless Emotion’s or EEC cattery is a small family and at the same time professional cattery situated in France in Nouvelle Aquitaine, Poitou-Charentes | Limousin. We breed mostly Exotic shorthair and Persian. Our passion with Exotic Shorthair breed started at 2015 with my our diluted calico exotic shorthair girl Filo (Auld Brig Filoméne Breizh). 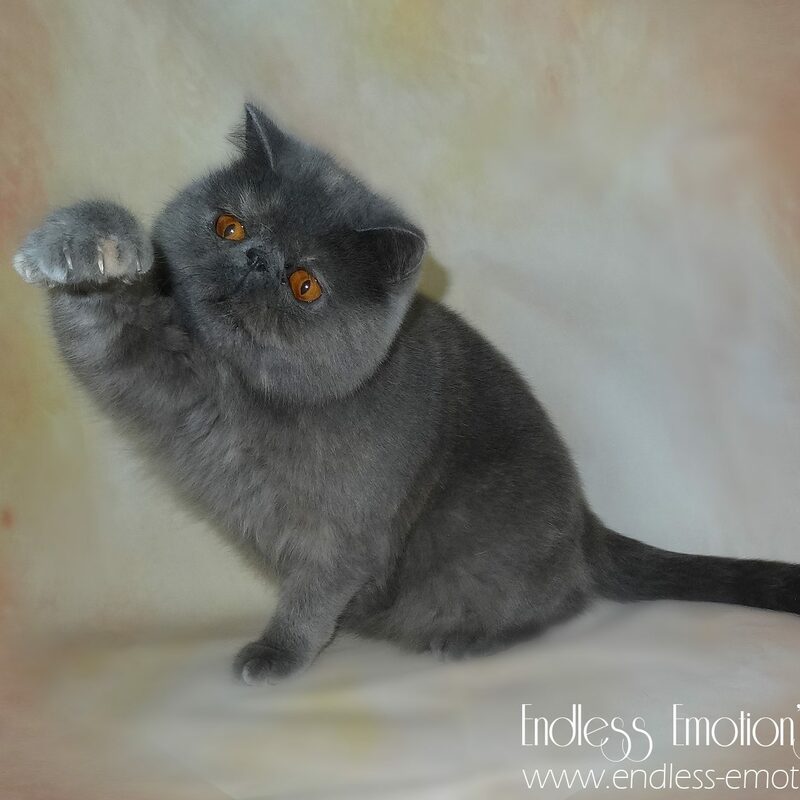 I fall in love with exotic shorthair, it is the Best Breed for me! Here is some facts and personality look of the Exotic Shorthair. The Exotic Shorthair has an exceptionally gentle, kind disposition that is virtually identical to that of the Persian. It is placid and dignified, but also can be curious, fun-loving and playful. This breed is friendly to other cats and to dogs, as well as to people. Exotic Shorthairs do not enjoy being unattended for long periods of time. When they must be left alone, many Exotic owners leave a radio or television on, so that their cats feel less isolated. The Exotic Shorthair tends to show more affection than many other short-haired domestic breeds, without being annoyingly demanding. This is an easy-going, quiet cat, whose voice is rarely heard. The Exotic Shorthair is sweet, calm and unfailingly loyal. The adaptable nature of this breed makes them ideal pets for city dwellers and apartment living. They are especially patient with children.